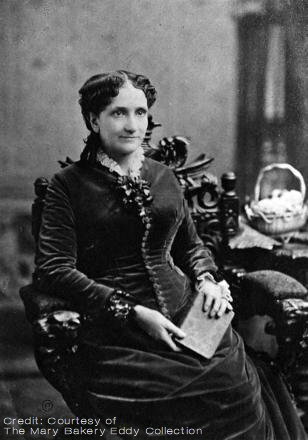 March is Women’s History month in the USA and the theme this year, according to the National Women’s History Project site is “Celebrating Women’s Character, Courage, and Commitment.” This blog highlights an often overlooked 19th century woman for her significant contributions to religion and health. Her strength of character, courage and commitment are evident in the body of work she accomplished. Eddy’s ideas as an author, pastor, teacher, and healer charted the path for current thought on consciousness and health today. And in more ways than one, they still lead the way. Read more of this guest article by Ingrid Peschke published on the Huffington Post here. Do we really need vitamins to be healthy? ©Glowimages Do we need vitamins to be healthy? “The latest studies on vitamins have some medical experts saying ‘case closed’ – it’s time for most consumers to stop wasting money on multivitamins and other supplements, because they have no proven benefits and some possible harms.” This quote is from a researcher from John Hopkins School of Medicine. Canadians spend nearly $3-billion a year on vitamin pills and other dietary supplements hoping they can function as a form of insurance against dietary and lifestyle lapses. An inspiring read: Do we really need vitamins to be healthy? Have a worry-free Christmas. It’s good for your health. Enjoy this excellent article with tips for a healthy and stress-free holiday season written by my Australian colleague Beverly Goldsmith. Seems the buzz around the medical water cooler these days is integrative medicine. Think of you and your integrative medicine physician working “as partners to engage body, mind and spirit in attaining and maintaining optimal health.” This is how physicians at University of Cincinnati Health describe integrative medicine on their website, an approach to health care that patients are requesting and health professionals are seeing as beneficial. “It’s about time that medicine put mind and body together and began to treat people in all dimensions of their needs,” says Thomas Boat, MD, Dean of the University of Cincinnati College of Medicine. Writing for the Twinsburg Ohio Patch, Steve Salt presents a Guest post on how complimentary practices such as mindfulness and spirituality, health and wellness coaching, yoga therapy is being integrated into the medical regimen.